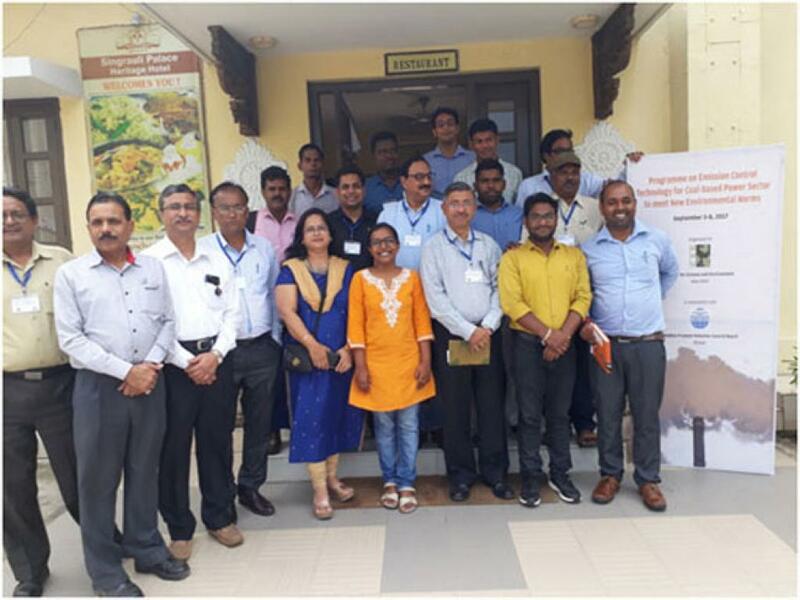 September 18, 2017: CSE organized a training workshop for pollution control board officials in Singrauli, Madhya Pradesh between September 5 and 8. The program was designed to impart knowledge on the pollution control technologies available to meet the new emission norms and their functioning. It was structured to have two days classroom session, one-day field visit, and a half day policy discussions. Hemant Kumar Sharma, Director, Environment, of Madhya Pradesh Pollution Control Board, presided over the program and Anurag Chaudhary, District Collector, Singrauli began the closing ceremony of the workshop. The program was attended by sixteen pollution control board officials from Madhya Pradesh and Chhattisgarh and officials from power stations in the area, particularly Uttar Pradesh Rajya Vidyut Utpadan Nigam Limited, JP, Essar Power, and National Thermal Power Corporation. By: B. Krishnakumar, ISGEC Heavy Engineering Ltd.